In April we fish an area known as the Susquehanna Flats at the head of the Chesapeake Bay. 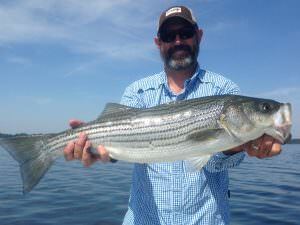 This is where striped bass prestage and feed before they spawn. This is a good time to get the fish of a lifetime. 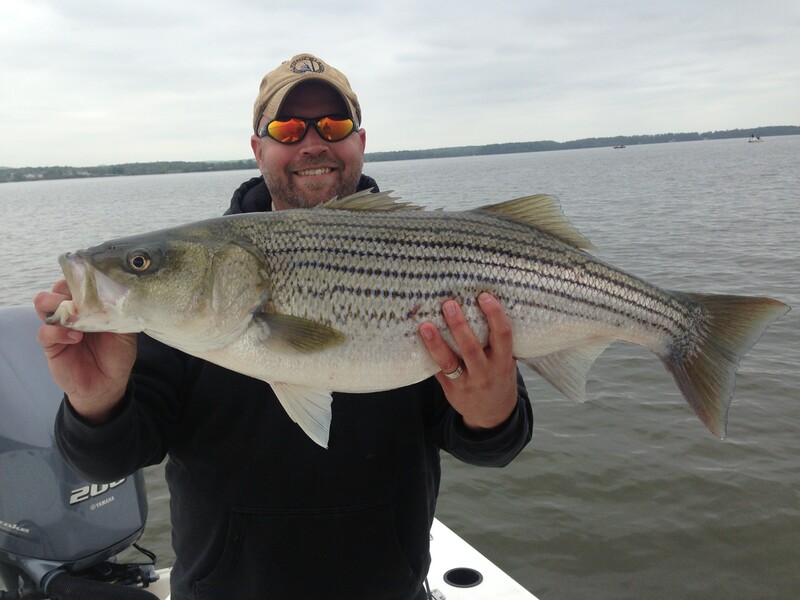 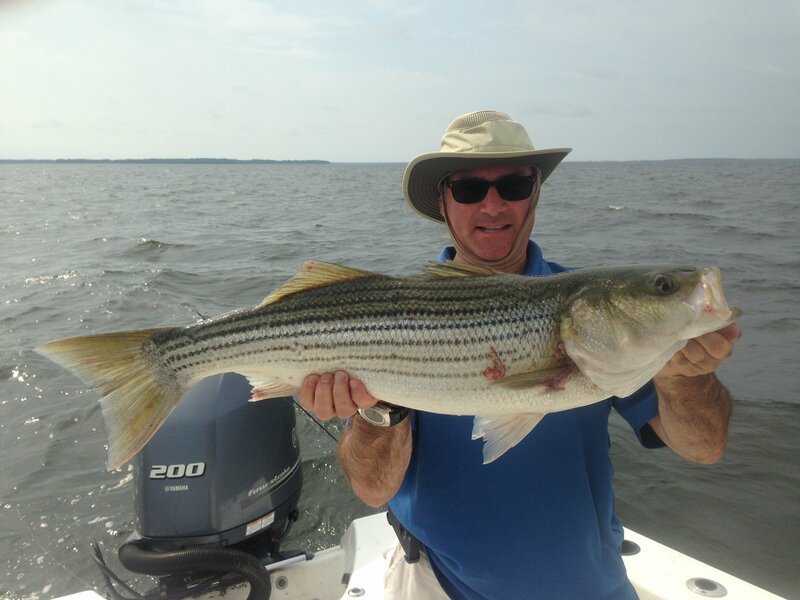 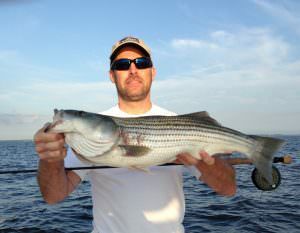 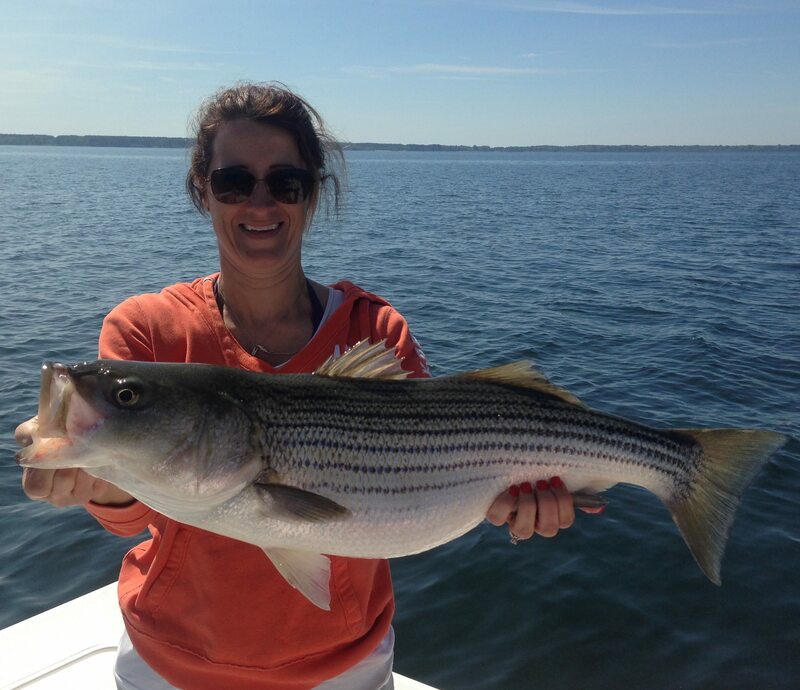 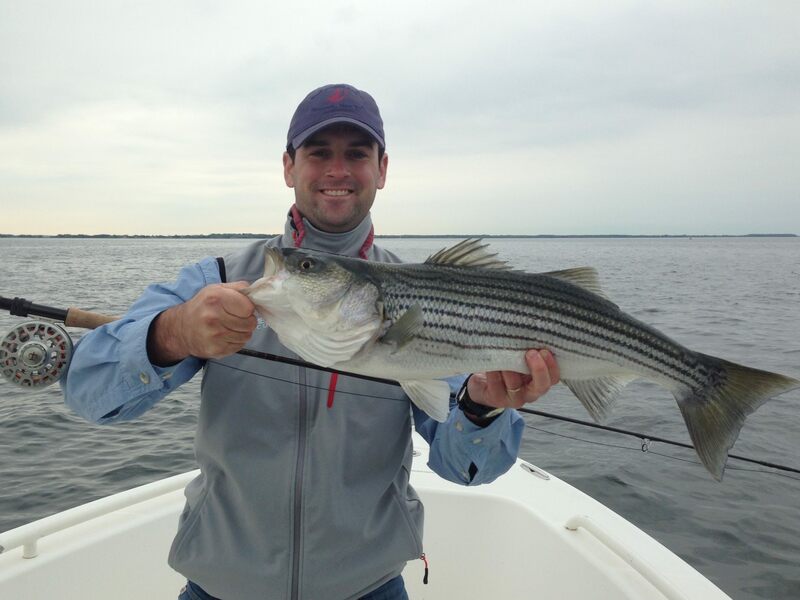 There is no better time to get a monster striper in shallow water on topwater. 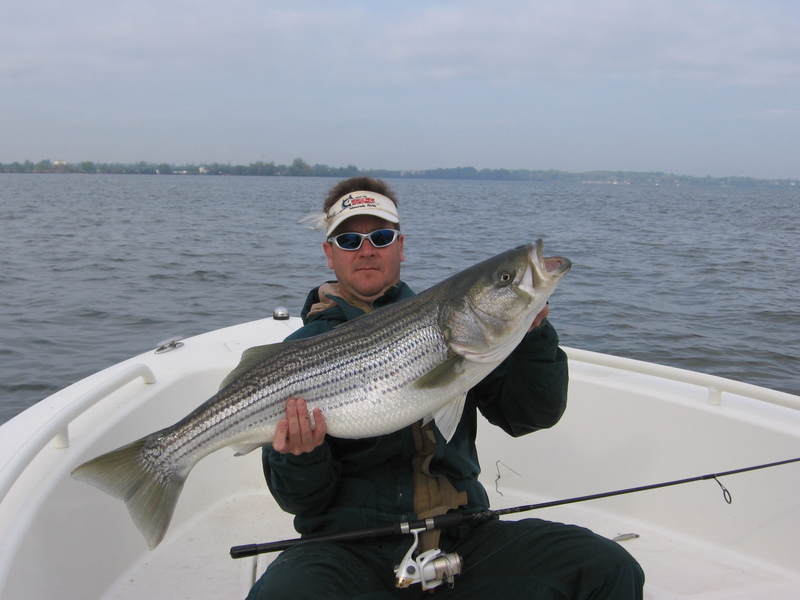 These migratory fish are big and fat at this time of year and hit a variety of lures and flies. 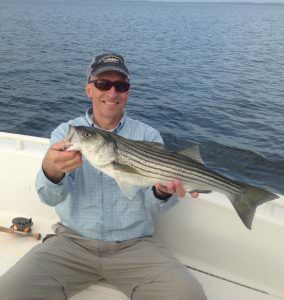 This is strictly a catch and release fishery. 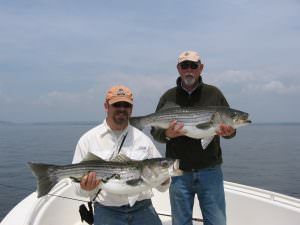 In May we fish primarily in Eastern Bay for post spawn stripers. This can mean anything from chasing fish on the surface to fishing offshore structure. 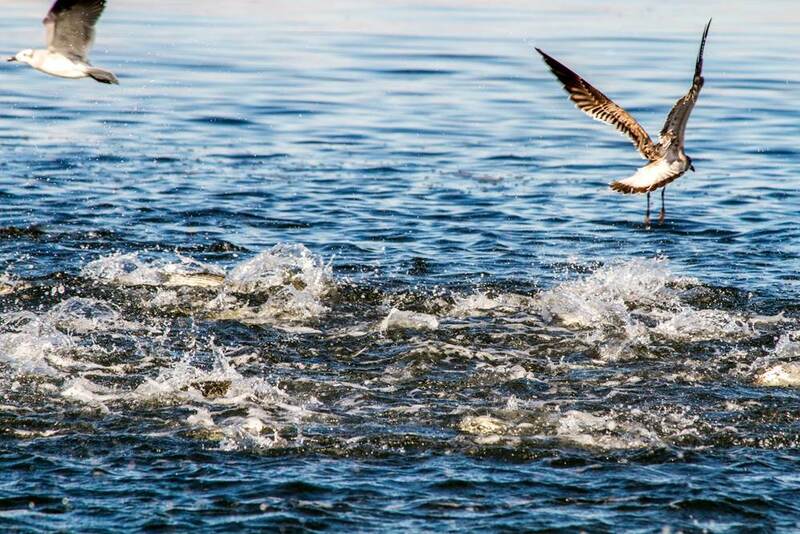 Some years there is also a shallow water bite. This time of year when the fish are on the surface they can be 30 inches plus. Casting or jigging soft plastics is the main method for catching them now but when they are on the surface large poppers work great. 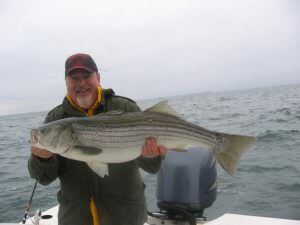 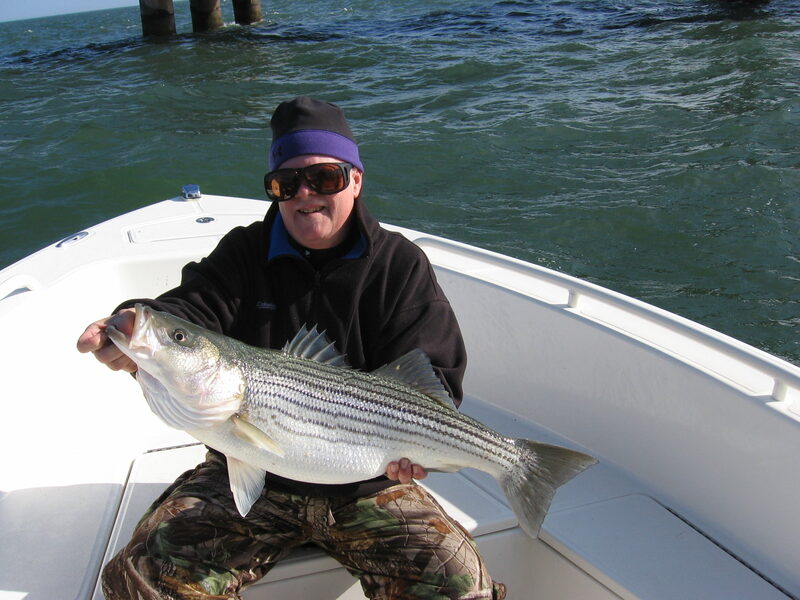 This also can be the best time of the year to get a trophy striper on the fly rod. At this time of year stripers can be found in massive schools either in the main stem of the Bay or at the mouths of the rivers. The methods used in May still produce well at this time. 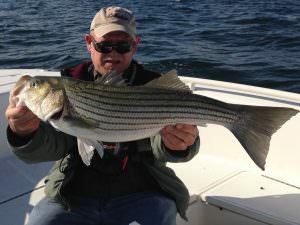 This is still a good time to get a trophy striper on the fly. 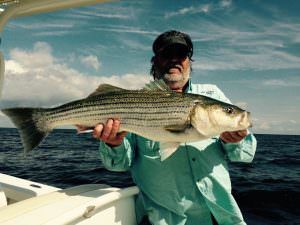 Summertime is some of the most exciting fishing of the year even though the fish are not as big as other times of the year. 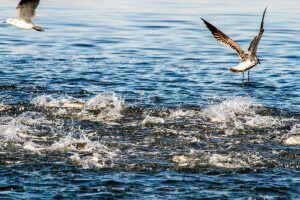 There can be acres of fish feeding on the surface in a feeding frenzy. These schools can not only hold striped bass but now the bluefish show up and also a chance for spanish mackerel. 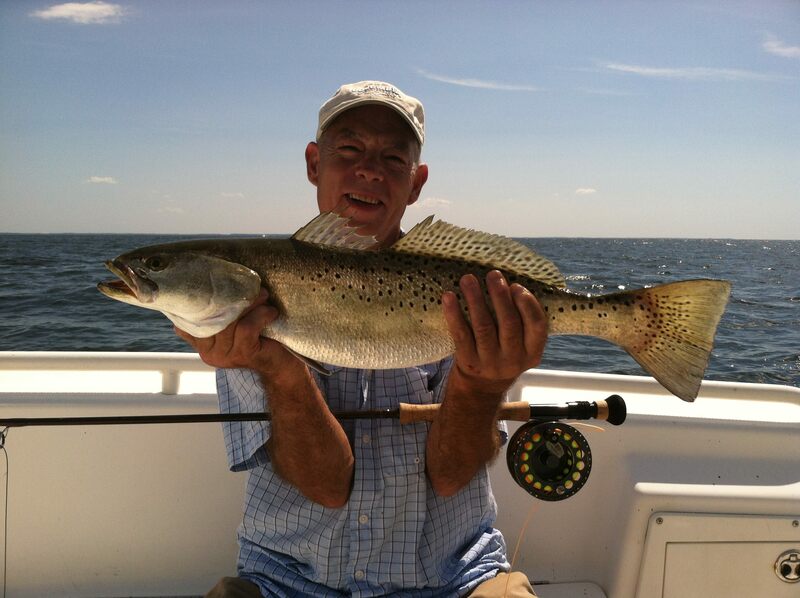 This is a great time for the novice fly fisherman to catch more in one day than he ever thought possible. 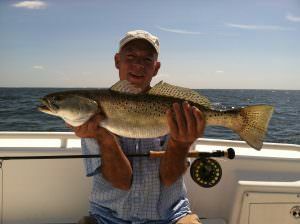 Some years there is also a chance for speckled trout and redfish. This can be the best time to introduce kids to fishing the Bay. 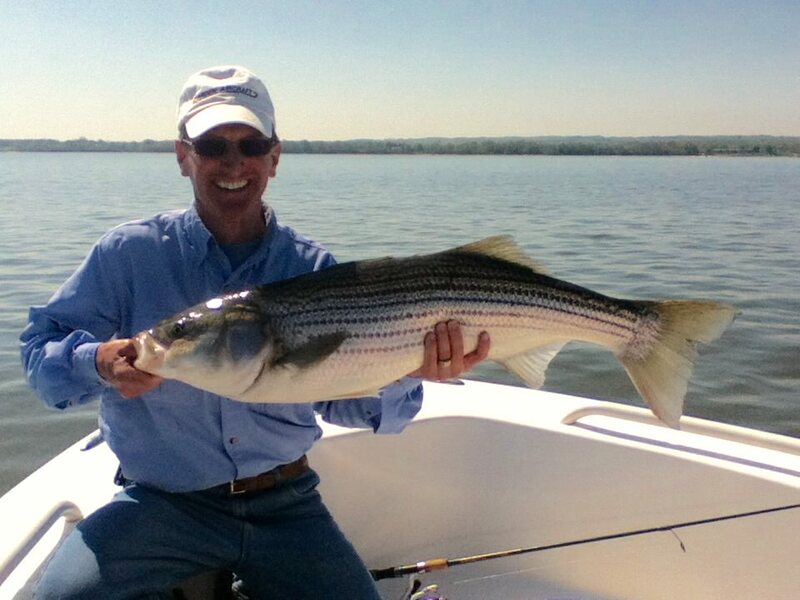 As the water cools down in the Fall, breaking fish can still be abundant but as the water cools the size of the fish can increase. 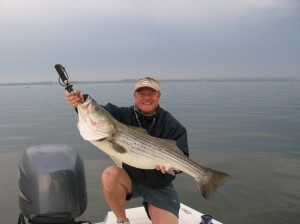 This is also some of the best shallow water fishing of the year with top water plugs or fly rod poppers. 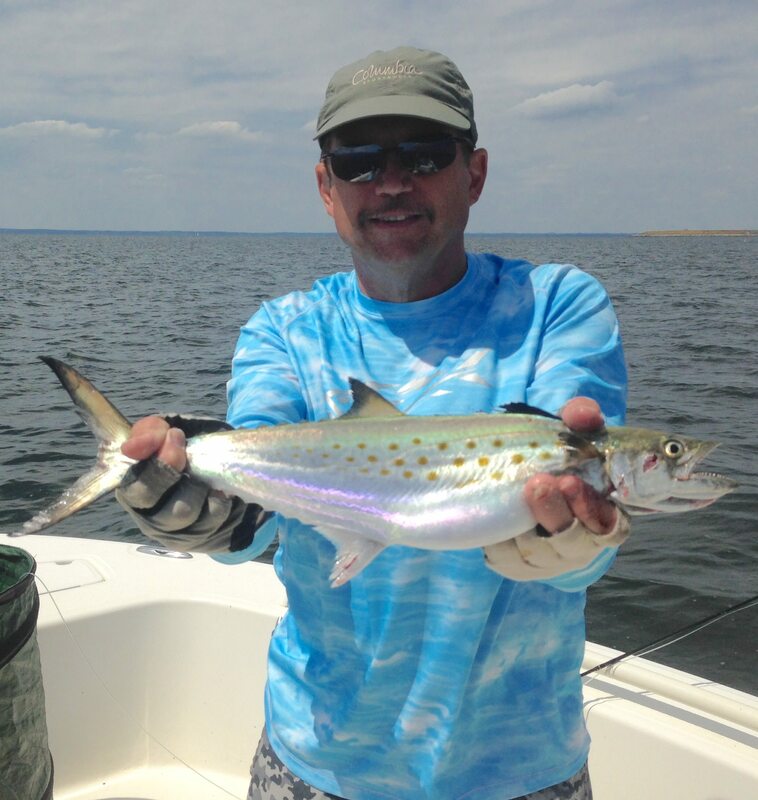 Bluefish are still around in the early part of Fall but will leave after the first frost. 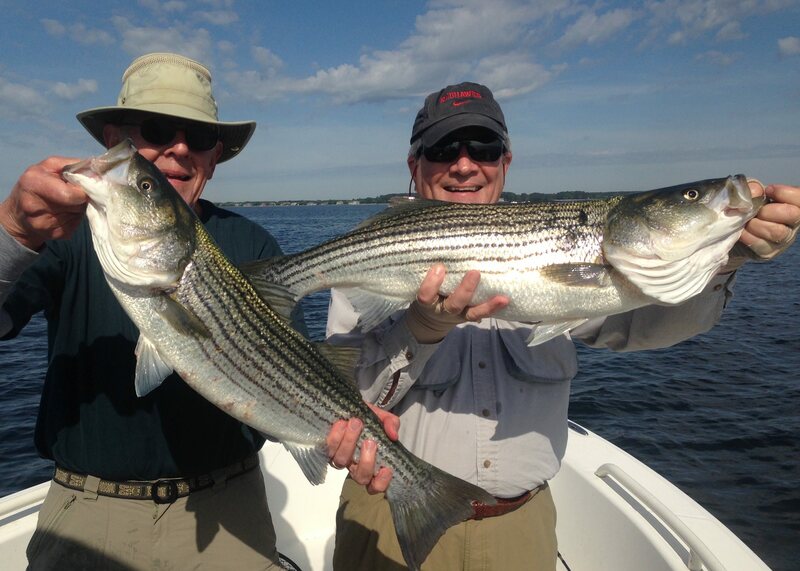 A beautiful time of year to be on the Chesapeake Bay. 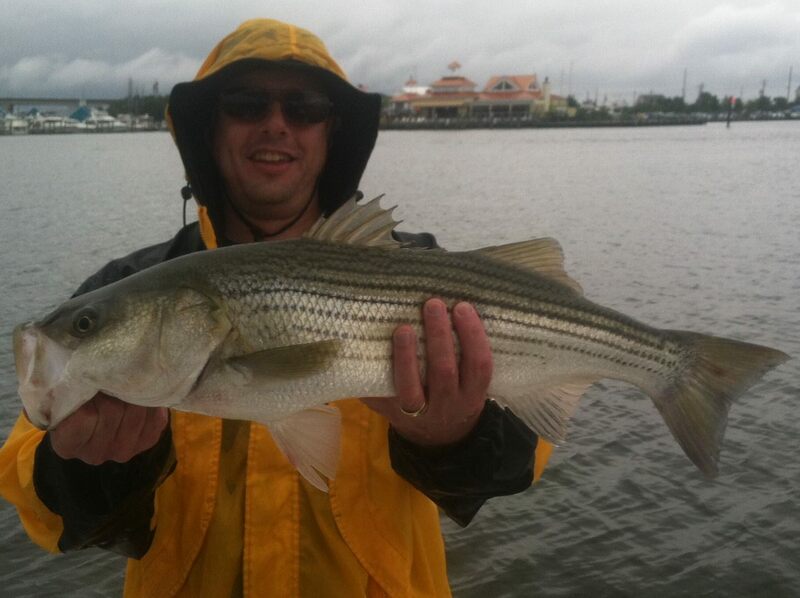 In December you will usually find me fishing in the lower part of the Bay. 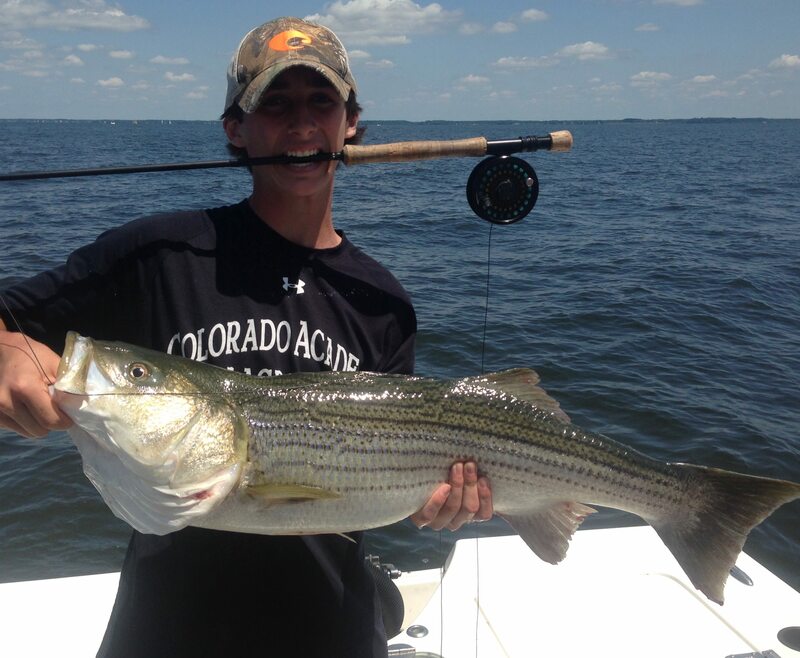 This time of year when you find the fish they can be in massive schools. 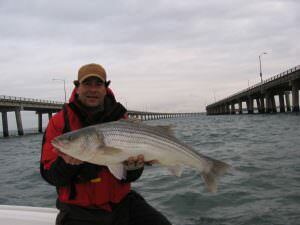 A lot of the fishing at this time of year is deep jigging but if the fish show up at the Chesapeake Bay Bridge Tunnel fly fishing is also great.